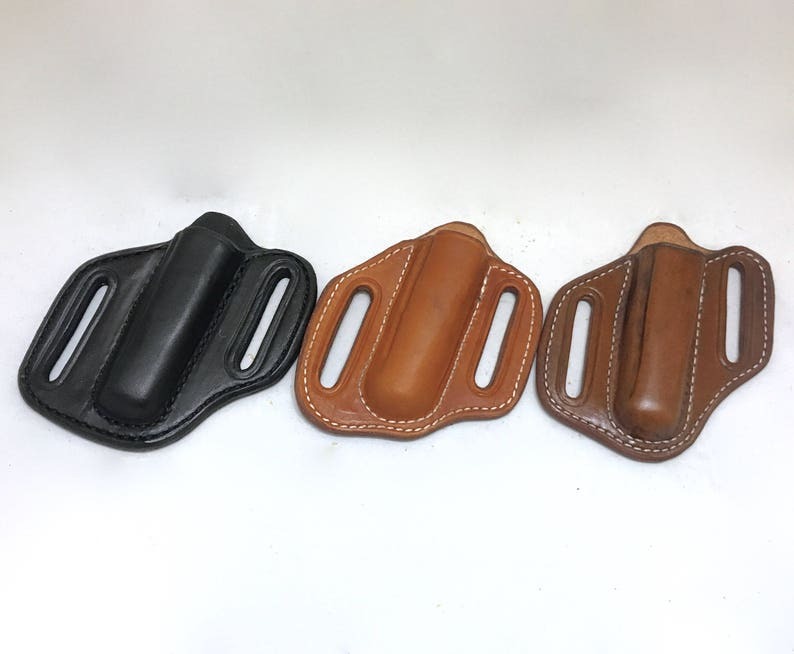 This item is a custom made leather, open top, canted sheath for a pocket knife. We can make it for the knife of your choice! 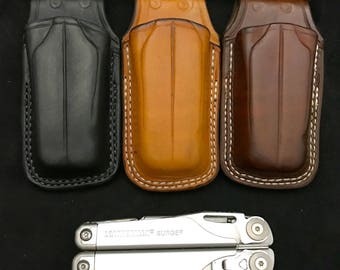 If you don't see your tool in the drop down options, contact our shop to request a sheath be made for your tool (or just note it with your order at checkout!). Beautifully made, and solid construction. Immediately being used every day. Very helpful, and communicated throughout the whole purchase process. I can 100% recommend!